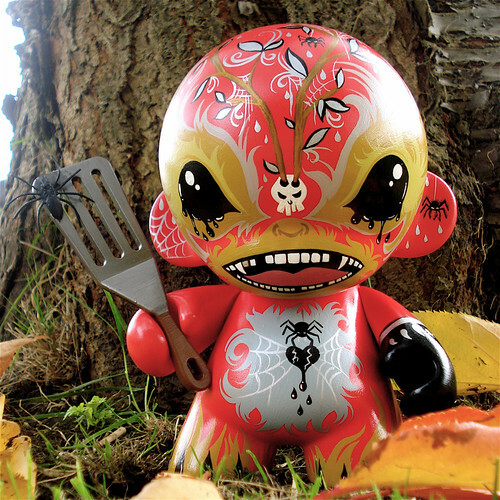 Lunabee: custom vinyl toy art: Aracnea...available 20th October! Introducing Aracnea my first 7" custom munny - Aracnea's black heart hangs by the thread of a spider. Aracnea's job is to care for the spiders of the world but also control them. When the spiders numbers become too great he must extinguish their life causing black tears to fall from his dark, shining eyes.